Item # 306776 Stash Points: 1,299 (?) This is the number of points you get in The Zumiez Stash for purchasing this item. Stash points are redeemable for exclusive rewards only available to Zumiez Stash members. To redeem your points check out the rewards catalog on thestash.zumiez.com. Tune in and turn up all day long with the Sleek Sounds white and rose gold headphones from Gabba Goods. 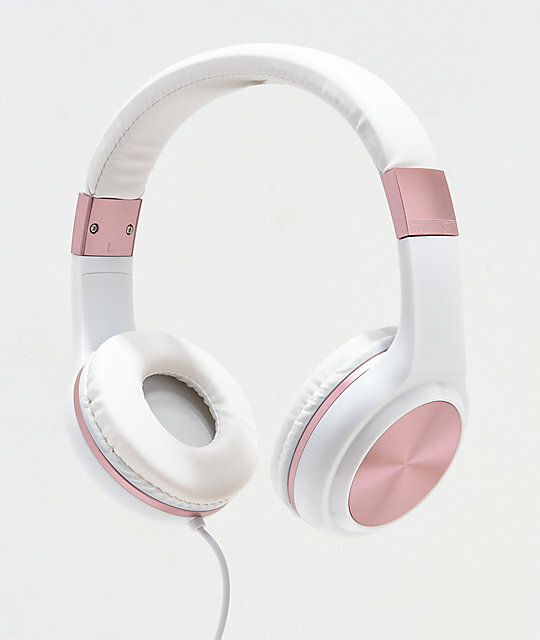 These white headphones feature rose gold detailing for a femme fatale aura while the aux-chord plug-in let's you listen to your music or videos without having to charge them up or replace batteries. 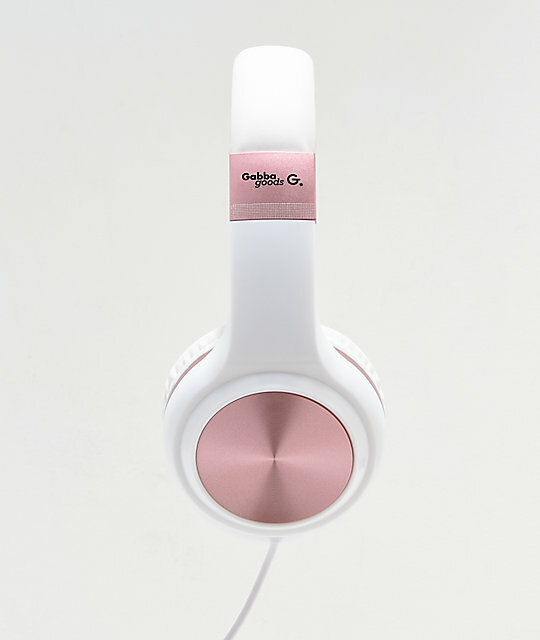 Sleek Sounds White & Rose Gold Wired Headphones from Gabba Goods. White design with rose gold detailing. Unlimited playback time with aux chord. Cable length: 1.2 meters (47").